A chiropractic college grants a D.C. or Doctorate of Chiropractic degree. Chiropractors are licensed as primary health care providers in every U.S. state and dozens of countries around the world. 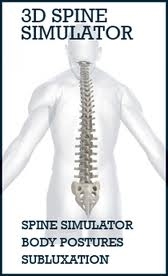 Chiropractic and medical school curricula are extremely rigorous and virtually identical. In fact, chiropractors have more hours of classroom education than their medical counterparts. As part of their education, chiropractic students also complete a residency working with real patients in a clinical setting, supervised by licensed chiropractic physicians. Once chiropractic students graduate, they have to pass four sets of national board exams as well as state board exams in the states where they want to practice. In the 20 years since, the opinion of most medical doctors has changed: several major studies have shown the superiority of chiropractic in helping people with a host of conditions, and medical doctors developed a better understanding as to what chiropractors actually do. Many people have returned to their medical doctors and told them about the great results they experienced at their chiropractors office. Hospitals across the country now have chiropractors on staff, and many chiropractic offices have medical doctors on staff. Chiropractors and medical doctors are now much more comfortable working together in cases where medical care is necessary as an adjunct to chiropractic care. Dr. Peck utilizes various medical specialists when indicated.